In April of 2018, Google published Wordzen as an official Gmail Add-on. Gmail Add-ons are “plugins” for Gmail that work on both the desktop and Android devices. They do not yet work on iOS. However, we have created a temporary solution for those users who want to use the Wordzen audio feature on their iPhones. This temporary solution will be offered until Google adds native support for Gmail Add-ons to iOS. To turn on iPhone tagging, go to wordzen.com/talk, click the “gear” icon in the upper-right, and set the iPhone tagging option to ON. Once tagging is enabled, new emails to your inbox will be tagged with the Wordzen microphone. Click the microphone for any email you want to reply to with Wordzen. Click the Safari icon in the lower right to open the recorder in Safari. Click the record button to begin speaking. As you’re speaking you should notice the “waveform” moving to the sound of your voice. This is your indication that recording is working. How does the Wordzen/iPhone solution work? Wordzen “tags” all the emails in your Inbox with the Wordzen microphone so that you can click the microphone to “speak” your response to an email. Then, just like with the official Gmail Add-on, our editors, will listen to what you’ve said and write a professional email. How does this differ from the Gmail Add-on that works on Android but not on iOS yet? Notice the differences between Android and iPhone. 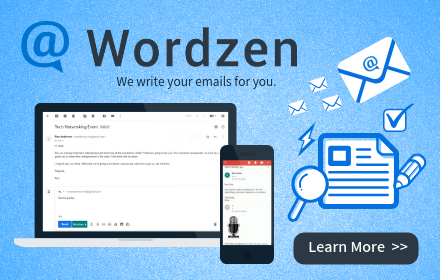 With Android, you access Wordzen’s features by clicking the Wordzen icon at the bottom of any email, and then the mic appears. With the iOS solution, Wordzen adds a “message” to each conversation, and that message contains the microphone and other Wordzen features. What are the benefits of the iPhone tagging solution? The main benefit is that you can use Wordzen to reply to and compose any email even when you’re on the go. What are the downsides of the iPhone tagging solution? The tagging system is essentially a “hack” we’ve come up with to make it easy to use Wordzen on iPhones, but it’s not a perfect solution. Once Gmail Add-ons work on iPhones, that will be solve any of the issues you may have. Every email you get in your Inbox will now show as a two-message conversation. The first message will be the actual email you received, and the second message in the thread will be the Wordzen “tag”. This will be the case regardless of whether you’re viewing your email on your iPhone or on a desktop browser that’s logged into Gmail. In the Gmail app, the Reply/Forward buttons at the bottom won’t work anymore, since these buttons will now assume you’re replying to the “tag” rather than the email above the tag. However, you can still reply/forward by going to the message above it. Wordzen on the iPhone will only work with Safari, not Chrome. Your Gmail app on iPhone must be set to open links in Safari in order for Wordzen to work. In the Gmail app, you must set links to open in Safari, not Chrome. One other thing to note about using the Gmail app with Safari is that when you open a link from an email, the Gmail app does not at first open the link in Safari. It first opens the link in the Gmail in-app browser. You then have to click the Safari icon in the lower right corner to actually open the link in Safari. Then, you can use Wordzen to record yourself. The Gmail app doesn’t make it easy to open links in Safari. 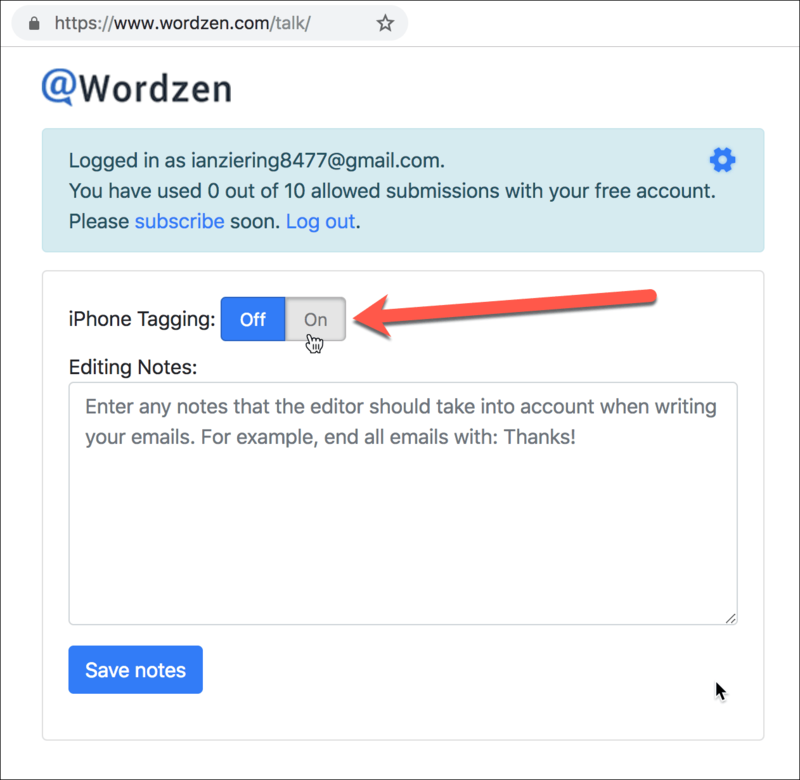 If you plan to use Wordzen extensively to reply to emails from your iPhone, then the inconveniences of the tagging solution are worth the undertaking. I’m the creator of Wordzen and use this solution on my iPhone. In fact, I build this solution mainly for my own benefit, so the tagging works well for me. But if you only plan to occasionally use Wordzen, it’s probably best to wait until Google supports Gmail Add-ons on iOS devices. If you have any questions or encounter any difficulties in setting this up, please feel free to contact Wordzen at contact@wordzen.com.